Today we share how to Root Samsung galaxy grand prime G530H on simple steps, Samsung galaxy grand prime is one of the best device on the galaxy series, today we share simple steps of Rooting Galaxy Grand Prime G530H. follow the full instructions and guidelines, our website is not responsible for any damage or losses of your device. After rooting your device may be loss of warranty. 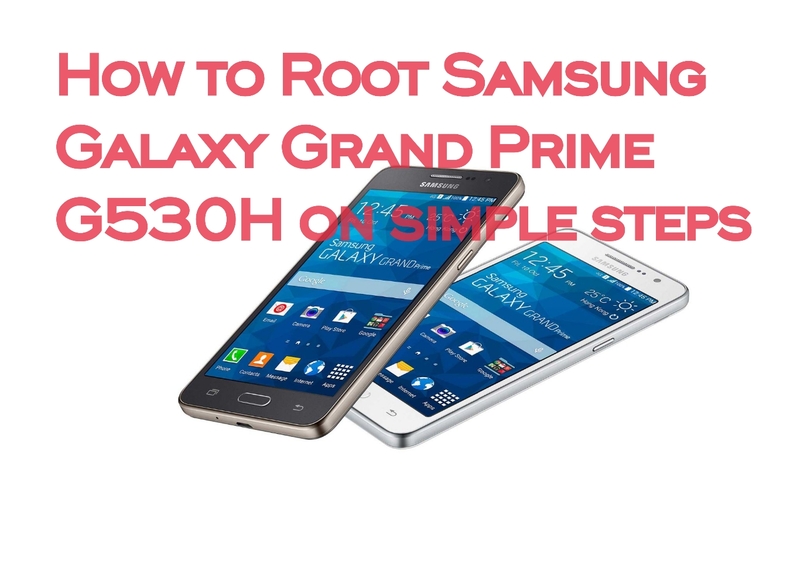 How to Root Samsung Galaxy Grand Prime G530H on simply steps. Step 1: First of all to sure your battery life is more than of 50%, before rooting recommended full charged of battery. Step 2: Keep on your mind your Device model number is correct and your device is the correct brand. These steps for Samsung Galaxy Grand Prime G530H and its variants. Step 8: Now Open Odin v3.07 by right clicking and run as administrator. After that Press and hold the below buttons Volume down + Home + Power Key together and then your phone will be boot on download mode then press the volume up button to continue, now connect the device into your PC, the ID:COM field color should be blue. Step 9: then you show many button but you click on the PDA button and select extracted from 1_cfroot_sm-g530h_mohan.tar.md5. Now press on start button and proceed the process, if the process end then the device will reboot with a green pass in ID:COM field. Step 10: Now again Press and hold the below buttons Volume down + Home + Power Key together and then your phone will be boot on download mode then press the volume up button to continue, now connect the device into your PC, the ID:COM field color should be blue. then you show many button but you click on the PDA button and select extracted from 2_cache_recovery_stock_mohan_sm-g530h.md5. That’s it now your device is successfully Rooted and keep enjoy the benefits of Super User.